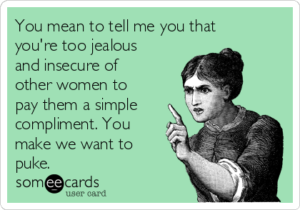 Don’t include a trait like jealousy in your personality. Specially females are notorious for their jealousy. Lets change that. We are bigger than that. Each one of us is very special in their own way. We don’t need to pull others down to feel superior rather we have other skills where we can show our expertise or superiority. All we need to do is explore that talent and unique selling point.